Mini-review of AVANTGARDE! by Judith Carnaby. AVANTGARDE! exhibition detail of Part I. 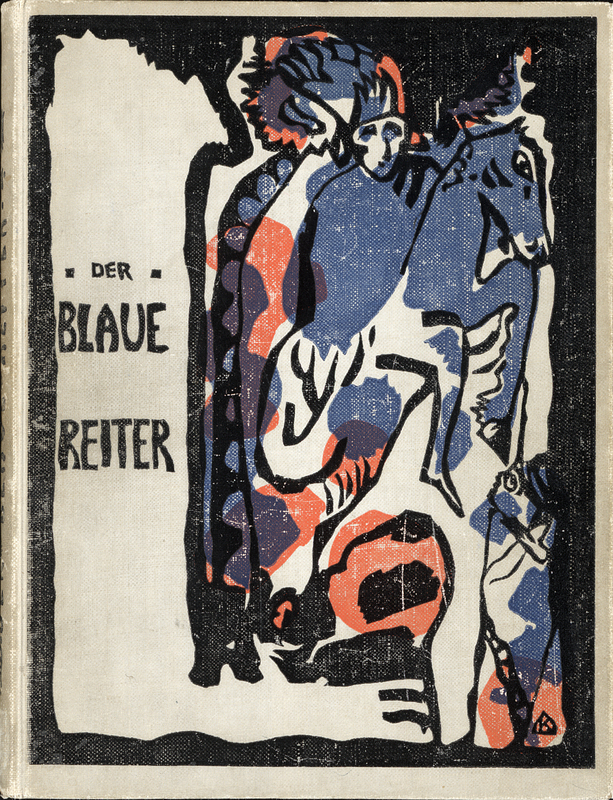 The World of Yesterday – Germany and European Modernism 1890-1914. Photograph by Illustrators Illustrated. 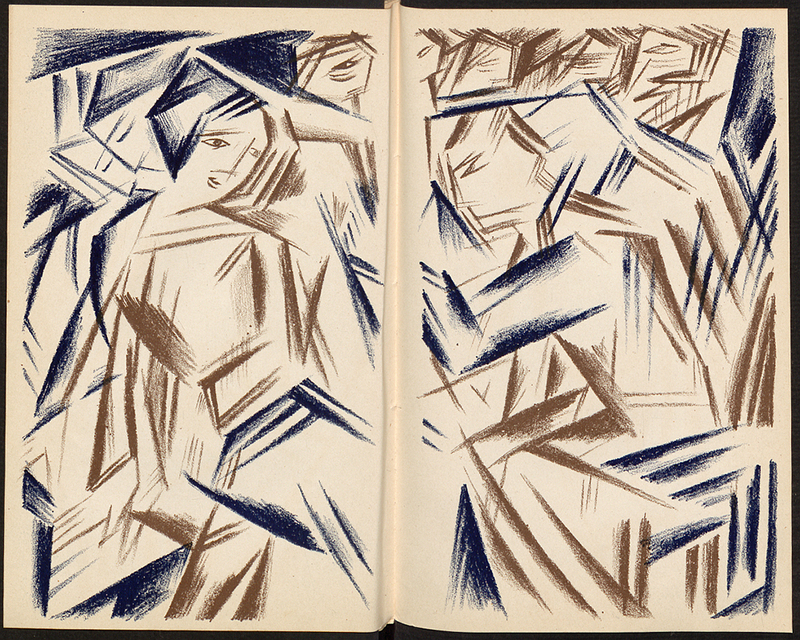 Currently showing at the Kulturforum Berlin is the Kunstbibliothek’s fantastic major summer exhibition, AVANTGARDE!. The exhibition consists of two sections, split between the ground and first floors. At entrance level, Part I. 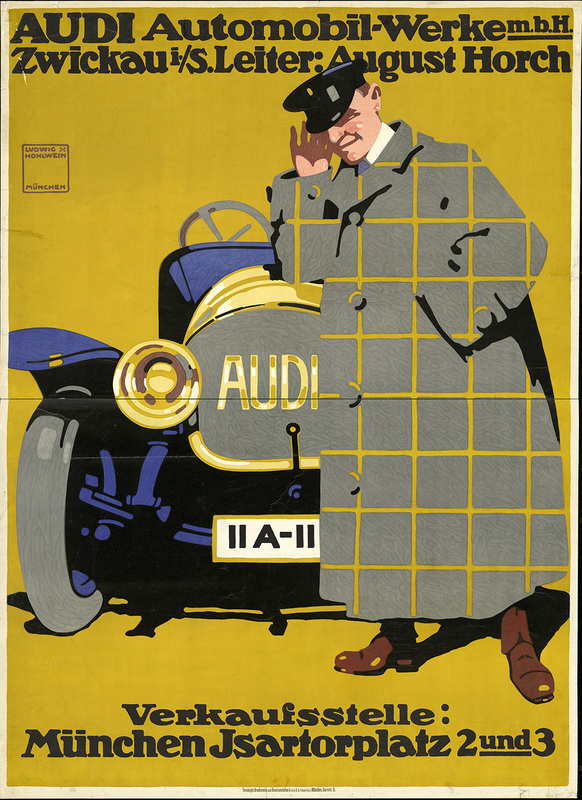 The World of Yesterday – Germany and European Modernism 1890-1914, displays examples of poster, commercial and book art from the pre-WWII period. 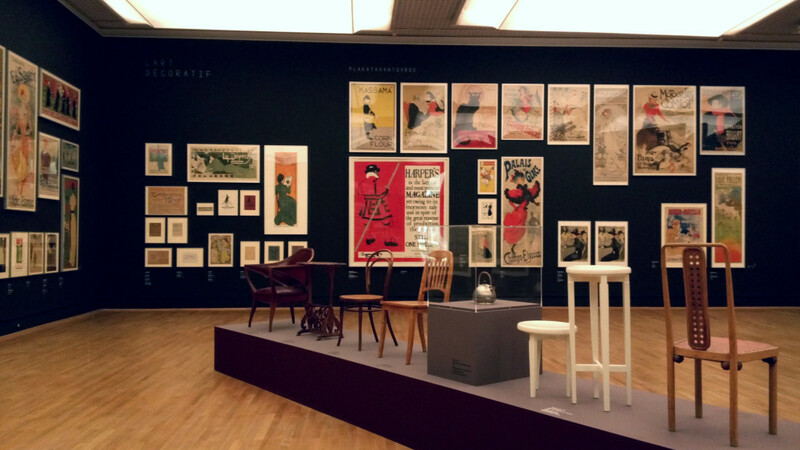 The selection features a huge number of large and vibrant posters, 50 illustrations from books and magazines, as well as furniture and objects that represent the different artistic styles developing in the pre-war period. 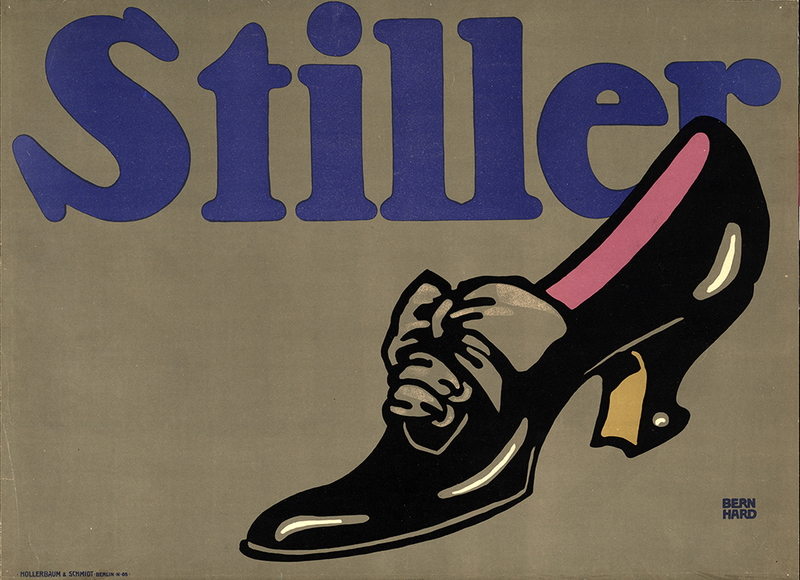 Among the works are posters by Henri de Toulouse-Lautrec, the Beggarstaff Brothers, Lucian Bernhard and Ludwig Hohlwein. Thomas Theodor Heine: Ilustration zu Knut Hamsun, Sklaven der Liebe, 1902. Downstairs, Part II. 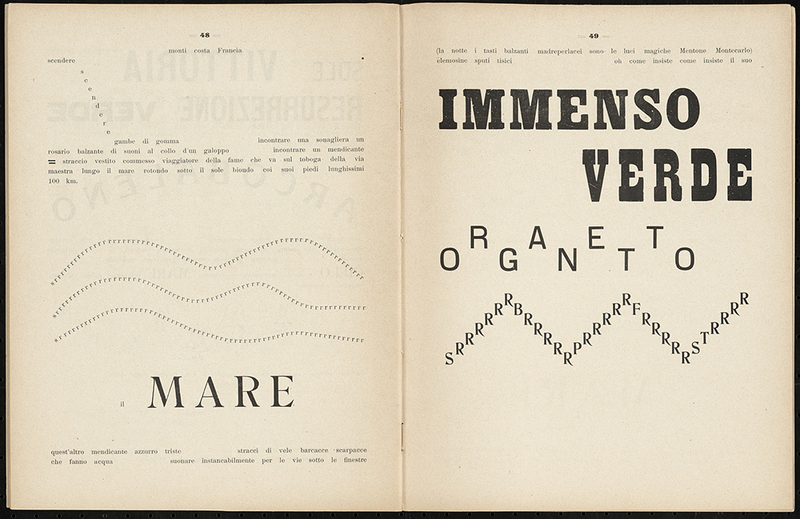 Words in Freedom – Rebellion of the Avant-garde 1909-1918, displays a vast number of publication and communication materials created during the development of avant-garde movements, from Expressionism and Art Nouveau through to Futurism and Dadaism. Included in this section of the exhibition are publications, letters, prints, various publicity materials and manifestos. 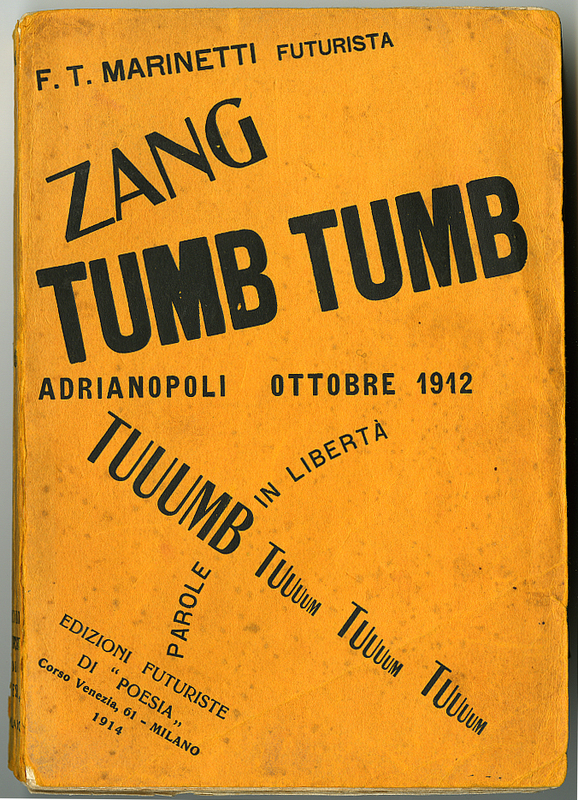 Of particular interest was the graphic design of publications and manifestos from the Italian Futurists, with typography that is bare, angry and incredibly current. Many of the publications are opened to specific pages or presented only as covers, showing illustrations and cover designs by artists such as Wassily Kandinsky, Giovanni Manca, and a striking image by Natalija S. Gončarova. 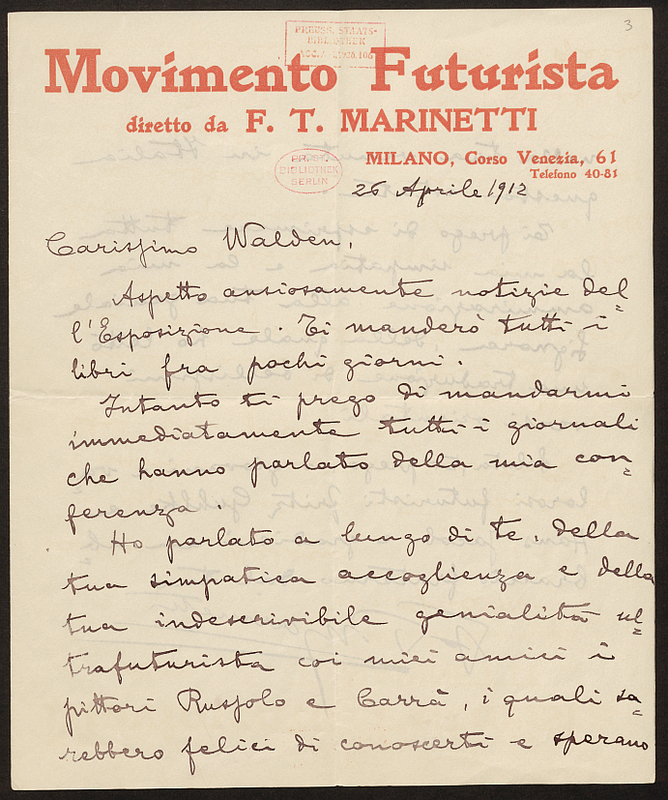 Filippo Tommaso Marinetti an Herwarth Walden, Mailand, 15. November 1912. Natalija S. Gončarova: Illustration zu Sergěj Bobrov, Vertogradari nad lozami (Gärtner im Weinberg), 1913. Together, the two sections form an intelligent exploration of the conceptual and aesthetic development of the early 20th Century’s pioneering artistic movements. In displaying the publications and manifestos from galleries, gallerists and artists, as well as artist communications, books and cover illustrations, the social and political currents and artistic networks behind the development of the graphic arts are made explicit. The viewer can better understand the shifting contexts in which the artists were working, and then when viewing the posters and book art upstairs, the artists’ works can be better understood as conceptually-driven, exploratory, challenging and defining examples of graphic art of the time. Conceptually engaging, as well as beautifully and thoughtfully presented, AVANTGARDE! 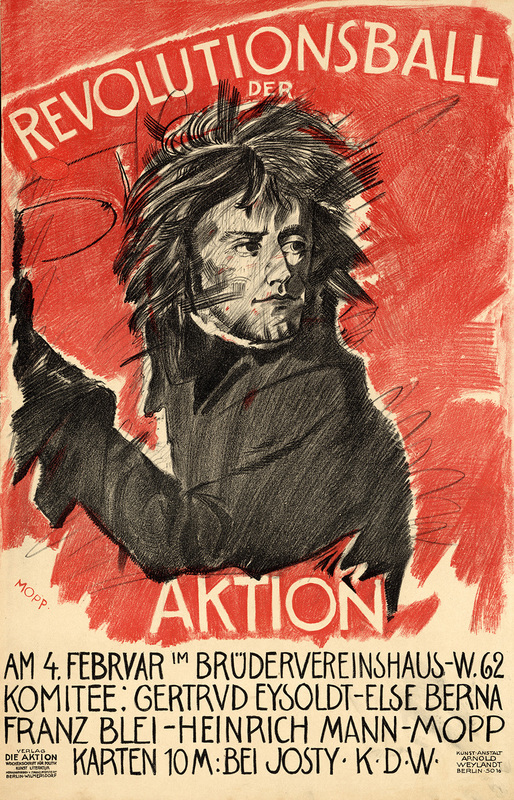 is a rich and impressive exhibition for anyone interested in understanding the motivations and ideas of the avant-garde, and the influence those movements had on the development of German, European and international illustration, poster and graphic arts. AVANTGARDE! runs until 12.10.2014 at the Kulturforum in Berlin. Read an interview with the exhibition curators Anita Kühnel and Michael Lailach.